Telegram is a free messaging app that focuses on speed and security, at least that's what its developers say. There are official Telegram applications available for iOS and Android as well as various unofficial clients for Windows, Mac OS X and Windows Phone. 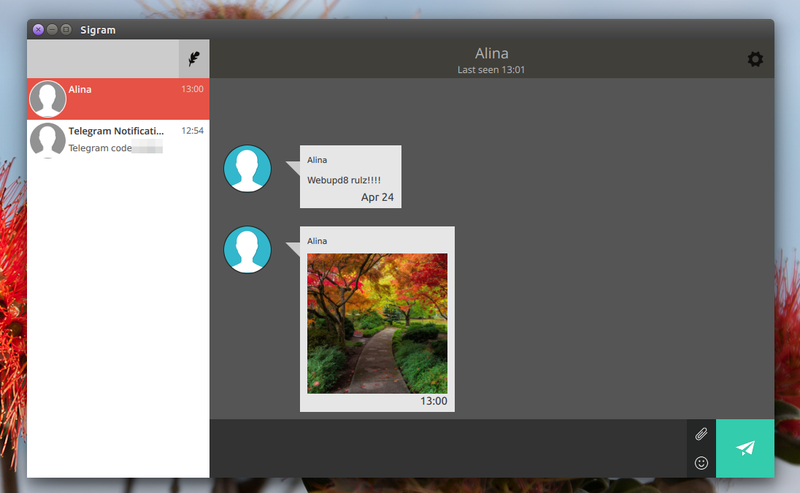 Sigram is a native, open source Telegram client for Linux desktops, written in C++, C, Qt, QML. 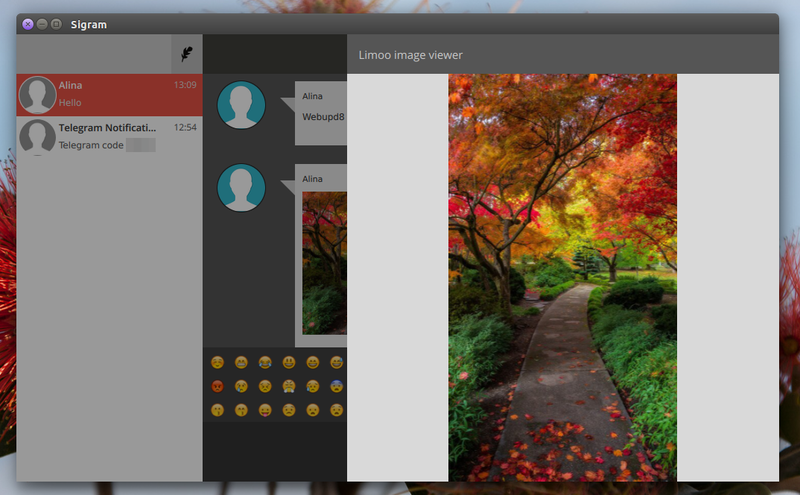 The application supports chatting with your Telegram contacts (obviously) as well as sending and receiving images (it uses Limoo image viewer under the hood) and emoticons. Unfortunately, Sigram doesn't support secret chats and sending audio/video files for now. As for the desktop integration, Sigram can display notifications on new messages and comes with a tray icon which allows you to show the application (which can be closed to the tray) or open its configuration. There's also an option to change the chat background. That's it for now, but the application is quickly evolving. From its bug reports, I see that the app should get an option to add contacts soon, option to change the avatar and so on. And since it's open source, you can contribute to its development! I've received a tip from Sialan Labs, the Sigram developers, more than a week ago, but back then the application only worked on Ubuntu 14.04 and the settings/gear icon didn't work. These bugs have been fixed and Sigram has worked great in my test today, so I finally decided to write about it. So if you've previously tried Sigram and stumbled upon these issues, give it another try. Sigram, the open source Telegam Client for Linux desktops, can be download from Sialan Labs - there are Ubuntu debs, Arch Linux AUR packages, rpm packages as well as generic Linux binaries available for download, along with the Sigram source. thanks to Sialan Labs for the tip!